NAHARLAGUN, Feb 5: One of the iconic sports stadiums of the state, the Rajiv Gandhi (RG) stadium here, is all set for a major overhaul. A huge multipurpose stadium with all basic facilities would be constructed in place of the existing one, and a large portion of the stadium has been dismantled for the purpose. The new stadium will have a seating capacity of 15000, and will have modern facilities like car parking, artificial turf, drainage system, changing room for players, medical and administrative rooms, toilets, galleries for VIPs and press, etc. At present, the stadium can accommodate 5000 spectators, and is without basic amenities. 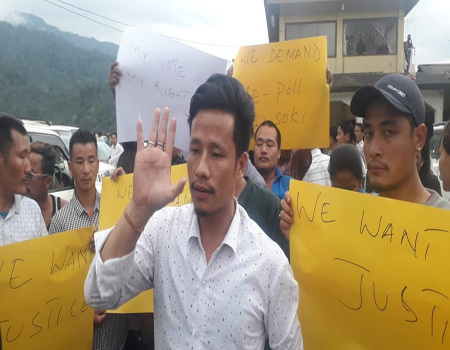 The urban development (UD) department’s Itanagar Division Deputy Director Gyamar Tachung informed that the estimate for the project, amounting to Rs 15 crore, was approved and sanctioned last year. “The tender process has already been completed and work has started,” he said. Tachung expressed hope that the upgraded stadium would stand up to the expectations of the sports lovers of the state capital. Sports Director Tadar Appa said the government is working to develop sports infrastructure across the state, and to hold sports activities in towns all over the state. He said the department is monitoring the progress of work on the RG stadium. 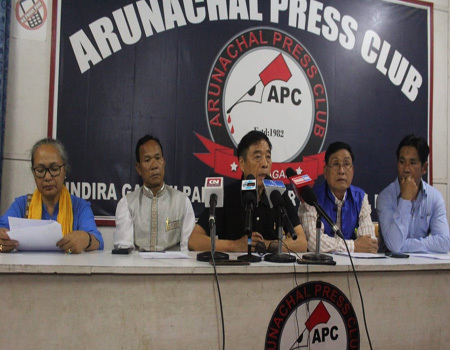 “The main vision of constructing several new stadiums is to develop Arunachal Pradesh as a sporting hub. By the year 2030, the basic prerequisite of infrastructure and necessary technical backup for development of sports and youth activities will be fulfilled in all the districts, subdivisions and block headquarters,” said Appa. 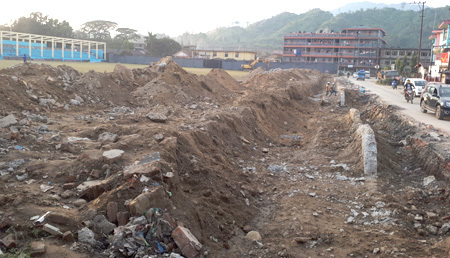 UD Chief Engineer Taring Darang said the upgrading of the stadium is being taken up on priority as it is the lone sports stadium catering to the sports enthusiasts of the twin capital towns of Itanagar and Naharlagun. “We are working hard to construct a beautiful stadium, so that people can be proud of it. Once completed, the new RG stadium will become an asset to the whole state,” Darang said. The land of RG stadium has been allotted to the Tomo Riba Institute of Health & Medical Sciences, but the development of the stadium is being funded by the sports department and executed by the UD department.